Nonprofit organization leaders and managers must have a clear understanding of financial management to help their organization serve its constituents. Basic skills in financial management start in the critical areas of cash management and accounting, which should be done according to certain financial controls and accounting guidelines to ensure integrity in the accounting process. 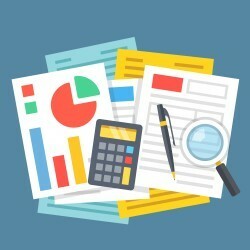 By viewing How To Set Up Your Nonprofit Accounting System, you will be given the knowledge that will help your organization be more accountable to funding sources, provide proper transparency to your constituents, demonstrate proper stewardship of your donor funds and build a foundation that will help your organization be more sustainable to fulfill your mission. You are in charge of your organization’s accounting, but you don’t understand accounting. You are a Board Member of a Nonprofit and don’t have a good understanding of nonprofit accounting. Your organization is struggling to prepare timely financial reports.